Got a craving to get creative? Want something fun and memorable to do with friends? Interested in learning a new and fun skill? 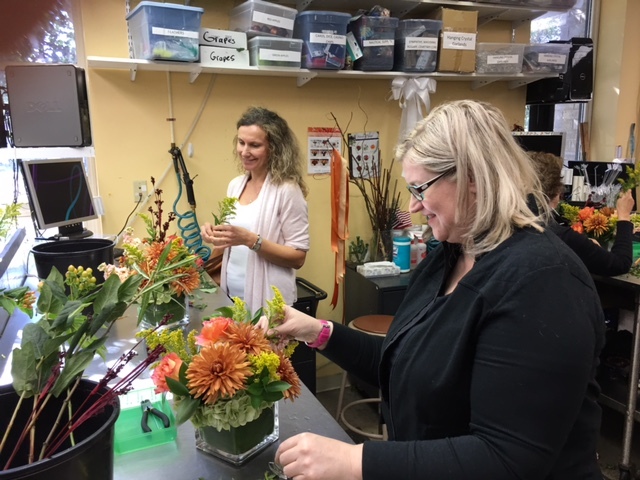 Then our monthly floral design classes at Karin’s Florist taught by our General Manager and Top Floral Designer David Shover AIFD, CFD, AAF, PFCI would be PERFECT for you! 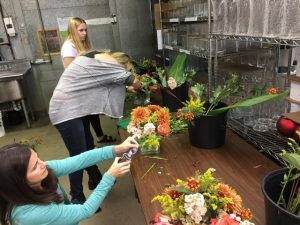 These special hands-on classes are held one Sunday a month. Each class will be a different topic so you can come once or keep coming back! You do not need any design experience to take these classes. You just need a desire to learn! Take the class just for fun or to advance your design skills. Classes are generally two hours long and include a lecture demonstration and then time to design with one on one coaching time with the instructor as needed. And the best part?? 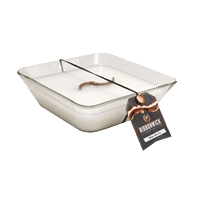 You get to take home an incredible design that you’ve personally made! 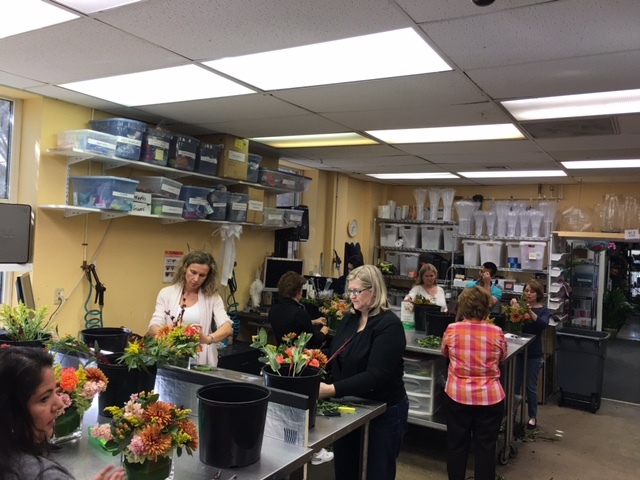 Each class promises to be filled with valuable information that will help you advance in your floral career. At the end of each class, you will receive a certificate of completion. 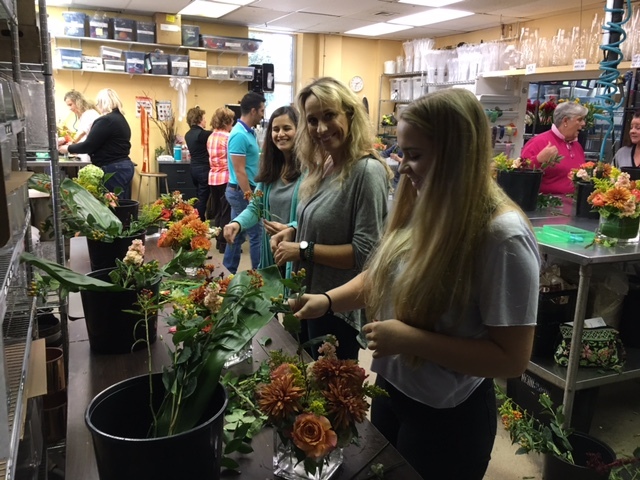 “Fresh From the Garden” a class filled with valuable information needed to create your flower arrangements at home. 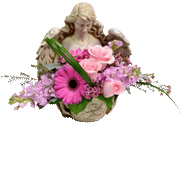 Learn information on how to use the flowers from your own garden. Learn when to cut them, learn how to condition them and what extra steps to take that will allow your flowers last longer in your home. In this class we will explore a standard guide for how to decide how many flowers to cut or purchase as you determine the floral needs for your designs. 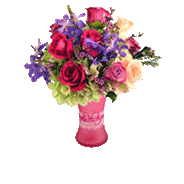 Learn how to choose the freshest flowers and much more. 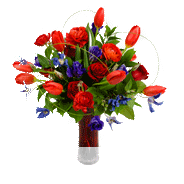 The class project will be a beautiful vase of flowers that you would typically grow in your gardens. In this class we will be creating a beautiful permanent silk wreath that can decorate your wall or door for years to come. 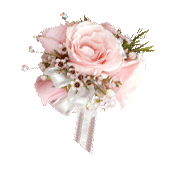 The lesson for this class cover the many aspects of permanent silk flowers. We will cover the different qualities of flowers, how to choose them and how to design with them to create the most realistic and spectacular arrangements. In this class we will explore the many different looks of how to create a beautiful floral table setting using everyday items you have around the house. 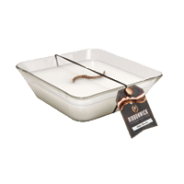 Learn to use various containers and accessories to create a theme for your special dinner party and buffet table. The longest lasting flowers are tropical from the sunny islands of Hawiaii. 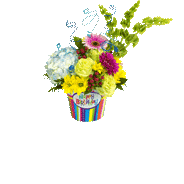 Learn the names of all the flower and how to create wonder sunny floral arrangements using the bold tropical flowers. They will bring the island to us and give us the beautiful feeling of that tropical vacation. Topiaries are one of the oldest styles of design. 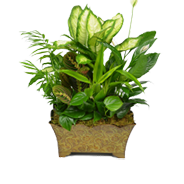 In this class we will learn about the many styles of topiaries and the mechanics used to create them. 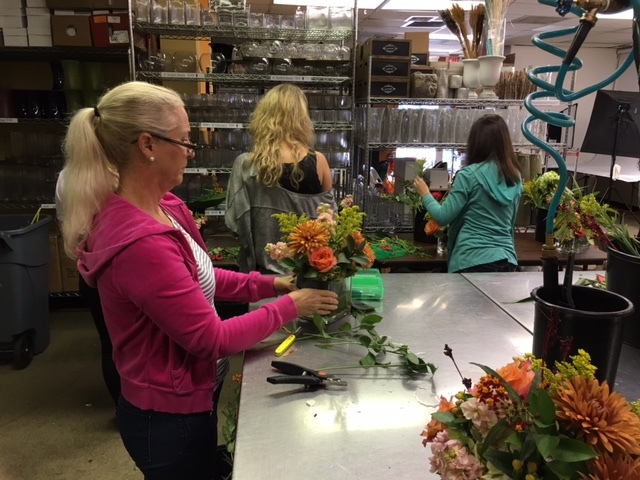 The project for this class will be an elegant monofloral design that will create that elegant topiary that will last and develop as it opens and the flowers develop. Ikebana is the Japanese style of floral design. 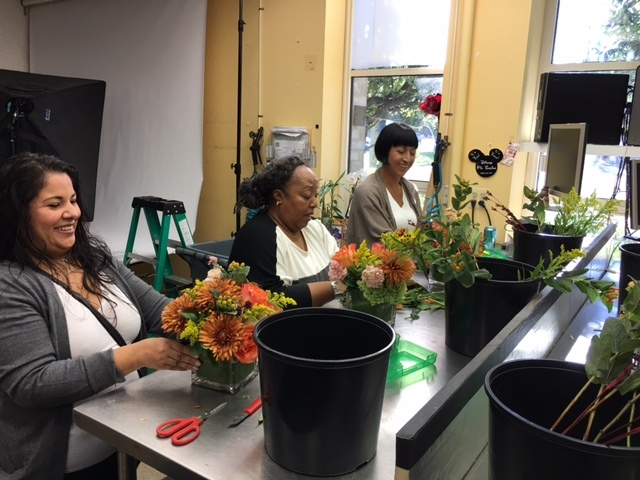 Learn the basics of the true Ikebana design and the many school or Ikebana. Learn the pure form and it’s interpretive counterpart. 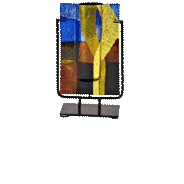 The class project is allow you to practice on what you have learned and you will leave with a work of art. 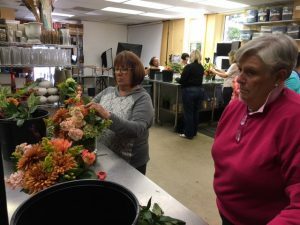 This class will teach you to create that beautiful centerpiece that can grace your festive Thanksgiving table. Learn the concepts and methods used to create a lasting design that your family will compliment on as they sit down to give thanks on that special day. This class promises to be filled with valuable information that you will not want to miss. Have your friends join you in this fun filled educational workshop and register today. There are three easy ways to register!! 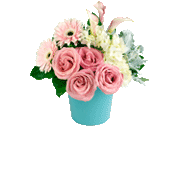 Visit www.karinsflorist.com and click on the gifts tab, email chris@karinsflorist.com or david@karinsflorist.com, or just call any sales team member at 703-281-4141 to register today. 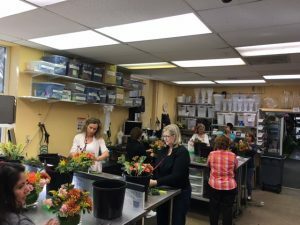 Take a look at some photos from the last class and GET INSPIRED!! Can’t wait to see you at our next class! !